The Wildflower Film Awards Korea will return for their 5th edition on April 12. Ahead of the ceremony, the organizers have announced the nominees for this year’s awards, which include a new category for Best Music. 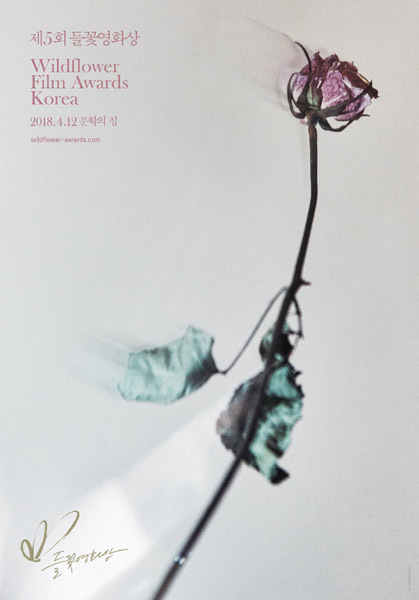 The Wildflower Awards, founded by Korean film critic Darcy Paquet and co-organized by local critic OH Dong-jin, recognize achievements in the Korean independent film scene. This year’s nominees for Best Narrative Film are KIM Dae-hwan’s The First Lap (2017), MOON So-ri’s The Running Actress (2017), Hong Sangsoo’s On the Beach at Night Alone (2017), PARK Suk-young’s Ash Flower (2017), LIM Dae-hyeong’s Merry Christmas Mr. Mo (2017), CHO Hyunhoon’s Jane (2017) and SHIN Dong-il’s Come, Together (2017). Meanwhile, the Best Documentary Feature nominees are LEE Chang-jae’s OUR PRESIDENT (2017), CHOI Seung-ho’s Criminal Conspiracy (2017), JUNG Yoon-suk’s Bamseom Pirates Seoul Inferno (2017), MOON Chang-yong and JEON Jin’s Becoming Who I Was (2017) and KIM Tae-il’s All Live, Olive (2017). The Wildflower Awards offer prizes for Best Director in the Narrative as well as Documentary categories while they also attribute an overall Grand Prize among all the 12 nominees. Most successful among this year’s nominees was CHO Hyunhoon’s debut film Jane, which earned nods in seven categories, including Best Film, Actress, Actor, Cinematography, New Director, Screenplay and Music. The film, which details the friendship between a teenage runaway and a transgender character, was first screened at the Busan International Film Festival (BIFF) in 2016. Not far behind is another debut film from BIFF 2016. Merry Christmas Mr. Mo was nominated for Best Film, Actor, Screenplay, Cinematography and New Director. Other multiple nominees include Ash Flower and KIM Yang-hee’s The Poet and the Boy (2017), with four nominations each, and The First Lap, Come, Together and SHIN Joon’s Yongsoon (2017), with three.